organization that put their country on the map. 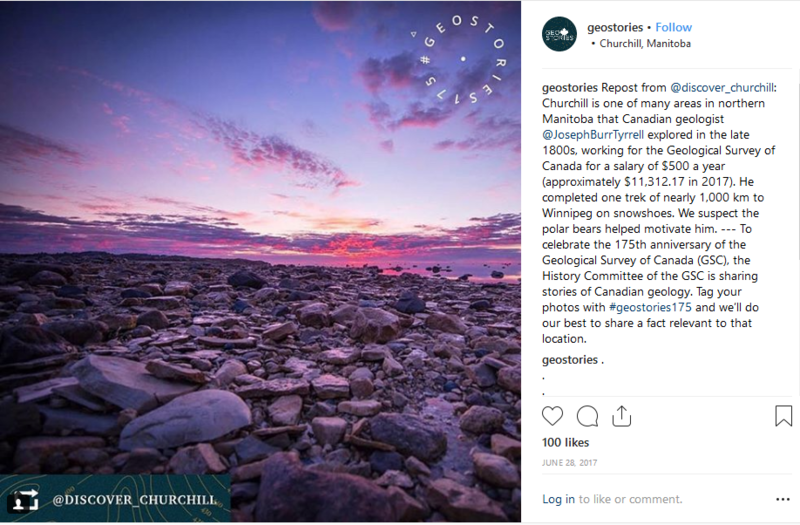 The Geological Survey of Canada (GSC) History Committee wanted to celebrate the organization's 175th anniversary and engage young people in geology. 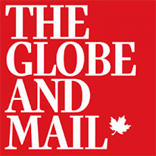 But how could a small, unfunded group of geologists capture the attention of young Canadians—and do so as big-budget Canada 150 celebrations were dominating the landscape?  The junction of three key insights informed our strategy. First, young Canadians are particularly drawn to experiential travel, and like to share special moments via Instagram. Second, domestic travel within Canada was estimated to spike as people celebrated the country’s 150th anniversary. And third, the GSC History Committee had access to hundreds of fascinating stories tied to nearly every part of Canada’s land and history. We mapped the most frequently tagged Canadian locations on Instagram, and researched and wrote hundreds of compelling bite-sized facts for these locations. 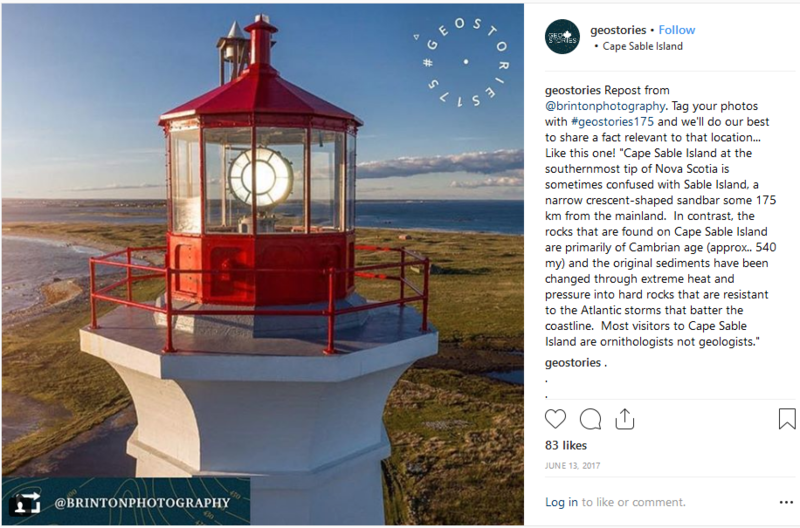 Then, when one of our locations was tagged by Instagram users, the @geostories account responded with a comment specific to that area, giving users across the country real-time insight into the beauty and history of the places they were exploring. other sites likely to see an influx of visitors during Canada 150.
bite-sized facts for these locations. 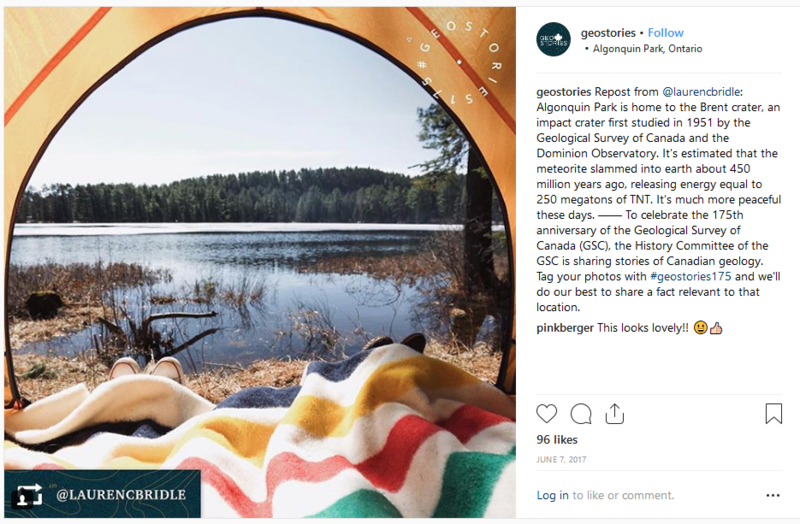 For two months in the summer, the @geostories account gave Instagram users across the country real-time insight into the beauty and history of the places they were exploring. We engaged whenever people reacted positively, adding personal touches unique to each user’s posted images to help build a deeper connection with the audience. The user shares a location. The GSC shares its history. 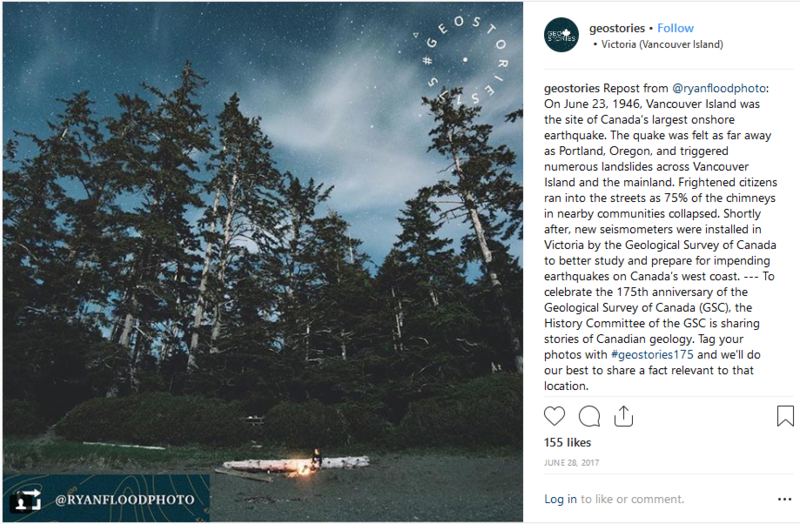 We created several Instagram accounts for key figures from throughout the Geological Survey’s long history, so that users could continue their experience and get more information about the facts they received. 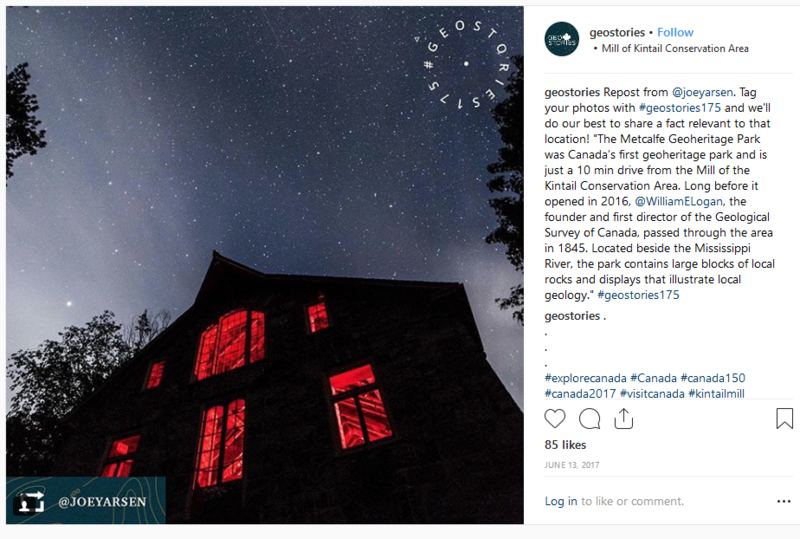 Post-launch, we reached out to Canadian tourism influencers on Instagram and asked them to call on their followers to participate. 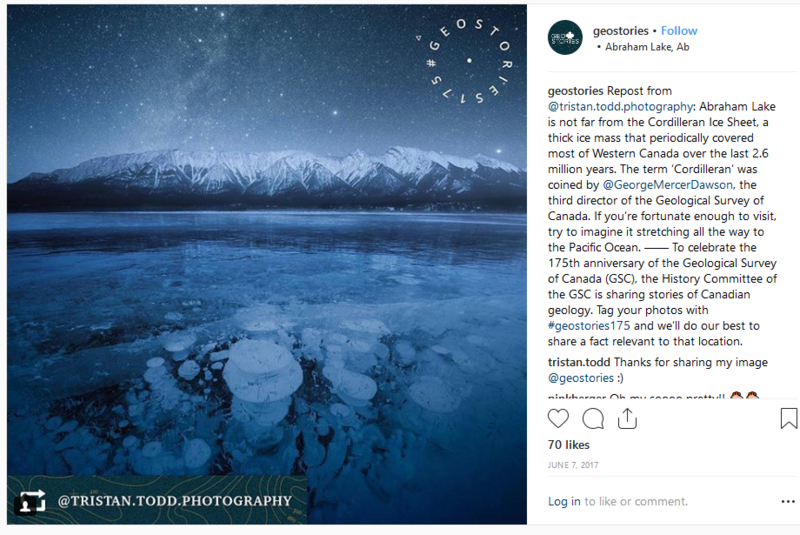 And as our audience grew, we began resharing the strongest posts from our most engaged users and called on others to share images of Canada with the hashtag #geostories175 to receive a fact specific to that location.